It has been a bit longer than I like since my last posting. I am in the in-between awkward stage of my studies and didn't think they had anything of particular interest to show. I continue to work. 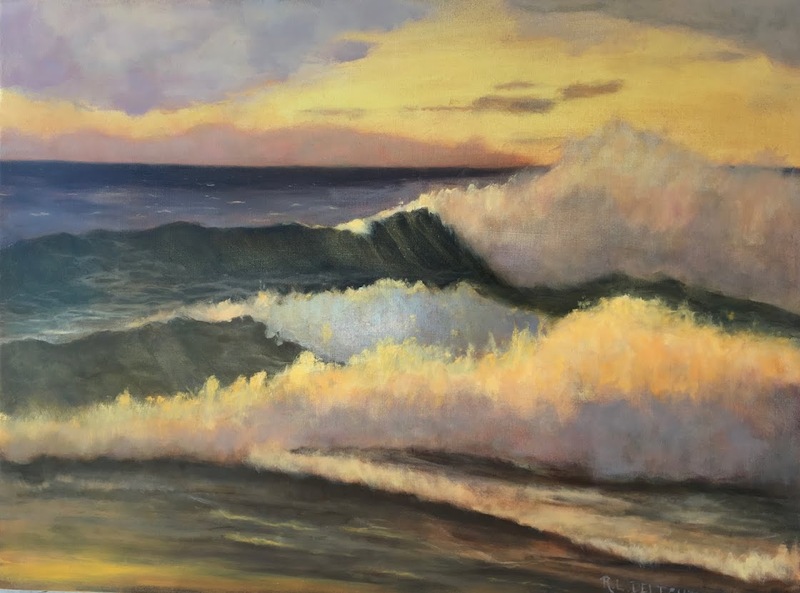 I have scheduled in time to work on original compositions in my home art-school schedule and I am getting excited about finally starting to get some of the ideas and visions on canvas. It will be slow going at first as I want to take each painting through a formal process of sketches, charcoal drawings, grisaille, then finally the color. That process will continue to build my skills. I will probably switch my posts to documenting this work and not showing so many studies. In the meantime life has been joyfully busy. In addition to working in the studio I have been enjoying getting outdoors as much as possible (in spite of injuries which is another post in and of itself) getting back to music making, and participating in our local community in general. So here are a couple of pictures. 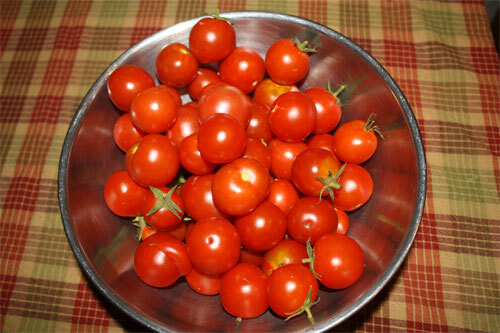 The first one is just one of our tomato harvests. Who says you can't grow tomatoes on the northern Oregon coast?! We actually had several harvests. The past two days, however, have been clear and cold and the tomato plants have passed on. I had two plants in a large pot. The nice thing about that was I was able to put it in the warmest sunniest spot in the yard. Considering the climate and the beautiful trees that abound here, I am quite pleased. By now most of us in the U.S. have heard about the Occupy Wall Street movement. Whatever your opinion and thoughts of the movement it is bringing about conversation and the seeds of change. Our tiny little town has not been left out. We have our own little Occupy movement going on every Saturday afternoon. I was only able to make the first one so far. We marched down (and then back up) the only main street in town stopping traffic chanting and startling the tourist in town. 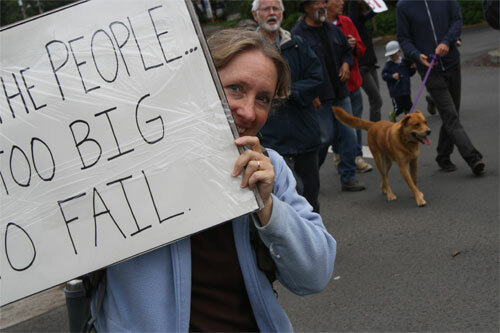 Here was my sign which reads, "We the People are too big to fail." I feel we should remember that whatever our differences, we the people of this country have the power to change things. We are the majority after all. It will take work and attention though. At this particular Occupy movement, most of us are over the age of 40! It will take all of us not just the younger folks. So life is crazy good at the moment. I will also be adding her link to my "Artists Who Inspire" list. 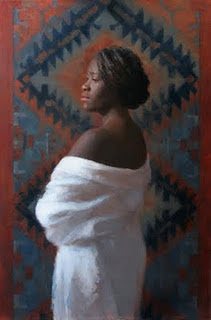 I found her work on the "Women Painting Women" blog site which is also on my list. That is all for this post. I will see how the progress is going for next week. Hopefully I will have a bit more of my own work to share.